Archived .pdf editions from January 2012 to February 2014 are here. Questions, suggestions, or articles for the newsletter can be sent to the . Please consider our forests if printing. 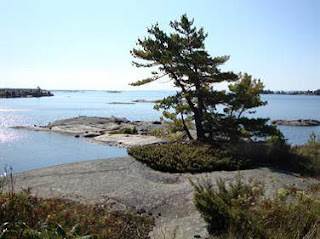 In recent weeks we have begun to look both back and ahead for our beloved Oshawa Garden Club. We are looking back to reflect on our long and amazing journey as both a Horticultural Society and as a Garden Club. In two years, we will be celebrating our 90th anniversary, just one decade short of a full century. If we look beyond our charter date of 1931, we see that there were two earlier attempts to form an Oshawa Horticultural Society. The earliest effort was in 1910. We will be looking for past and current members who can help to capture and celebrate that history. 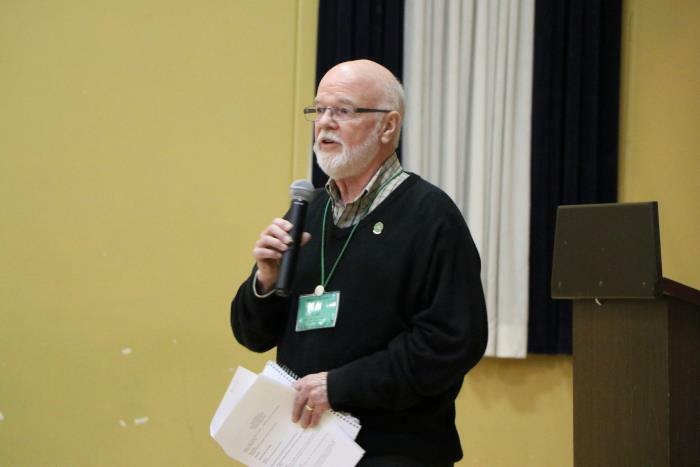 It will involve a search for tidbits of information, including things like our 1953 proposal to Oshawa City Council to declare the rose as the official flower of Oshawa. That proposal was accepted and it was noted that the rose could be any colour in that declaration. Your Board of Directors will be reaching out to you for your feedback. What is needed to keep our club vibrant and strong and relevant to changing times? What interests you? This is your club and we need to understand what will keep you engaged? That may be different from the way things have been done. It may involve new activities, new ways of doing business, and new ways of attracting members. Directions: Webmaster Jim has posted a map and it will take close to an hour, to drive north on Brock Road, to the meeting and a little less time if you take the toll highway #412. 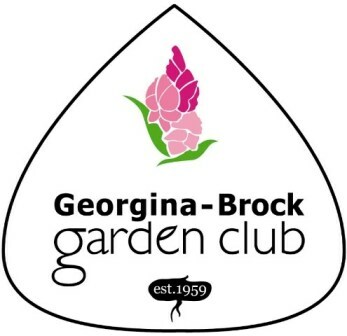 All Garden Club members are invited to attend this interesting-spring-gardening-day-out hosted by the Georgina-Brock Garden Club. To plan lunch, they ask each Club to pre-register as a group. 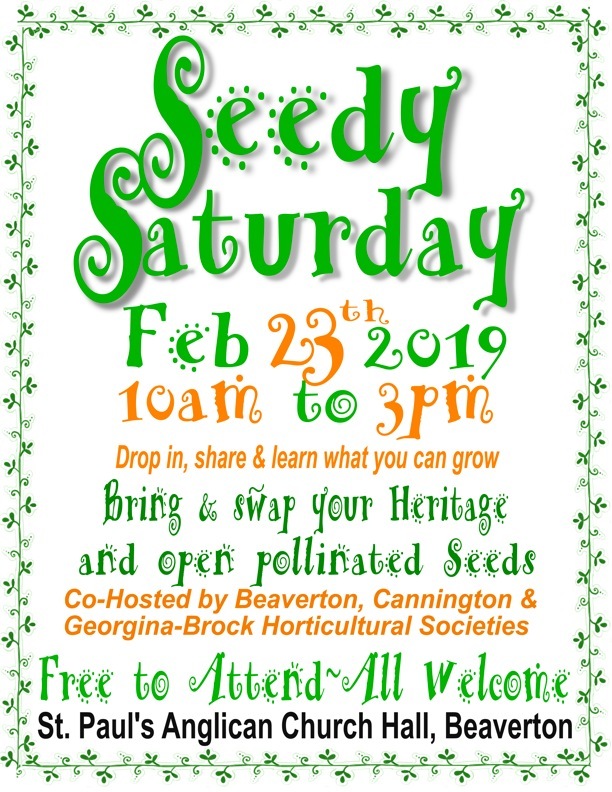 Volunteer Robin will be at a Sign-up Table, eager to take your $30.00 cheque, payable to the Oshawa Garden Club at the February/March meetings. You may still attend at the last minute and pay at the door $35.00. The meeting will start with coffee and treats, followed by a short business meeting. (our own Debi will be introduced as the D17 Treasurer). Usually, a speaker, followed by lunch and another speaker. At break time, you can look over the Silent Auction items, visit the Vendors and enjoy the photos, flowers, and bookmarks that have been entered in the Competition. All Flower/Photo Show information is posted on our website. The deadline to enter the Photo contest is April 5, 2019. Muddy Boots is the theme for this meeting and it is also the theme for the Team Challenge Entry. Past President Debi loves this creative competition and she invites you to join the OGC team. Have fun! 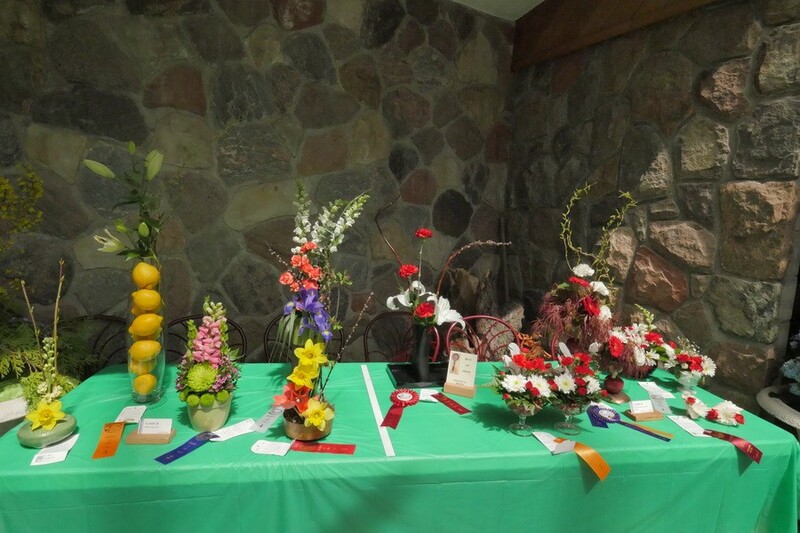 We invite you to participate in Competitions held at Ontario Horticultural Association/GardenOntario Events. 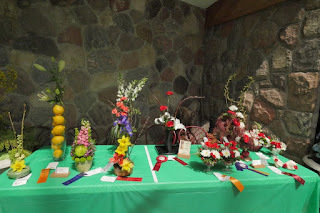 There will be a photo/flower show at the OHA District 17 Meeting on April 27 and also at the OHA Convention, Windsor on July 19, 20, 21. PHOTO SHOW - TAKE A SHOT! To help you feel more comfortable with the entry process, come and visit Debi at the back of the hall before the February meeting. Debi will explain and illustrate the primary points for submitting your photos. It isn’t hard, so we hope that you will take the opportunity to get in the picture! FLOWER SHOW - BRING AN ARRANGEMENT! 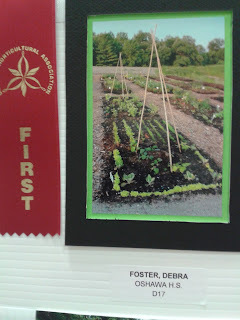 At the March meeting, Debi and Greg will unravel the mystery behind showing flowers. Learn some of the dos and don’ts to help you put your best blooms on the table. We will also post some detailed information about showing on the website in March. We plan to run a Faux Show at the April meeting, to provide further pointers. Canada Blooms is the second largest Garden Festival in North America. (the Philadelphia Flower Show is #1) It covers 4 acres, with 60 vendors, and 600 volunteers. You can expect quality Speakers and a gorgeous show of plants and flowers! A cotton seed brought to the moon by China's Chang'e 4 lunar lander has sprouted. Zinnias and leafy vegetables have been grown on the International Space Station, but this is the first successful experiment on the moon. In 1984, African violet seeds were sent into space to test the effects of radiation and zero gravity on them as part of the Seeds in Space experiment. 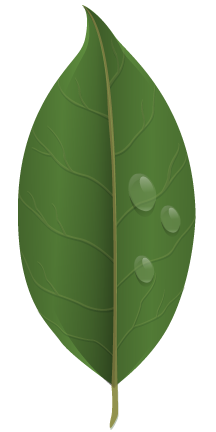 It was intended that the seeds remain in space for 11 months, but due to schedule delays, they ended up in space for almost 6 years. The seeds were germinated and some showed favourable mutations. The result was Optimara's EverFloris line of African violets. Durham College has received a $1 million donation to expand farming operations at its W Galen Weston Centre for Food. This grant will be used to build a post-harvest conditioning and storage facility and will also support a greenhouse expansion. 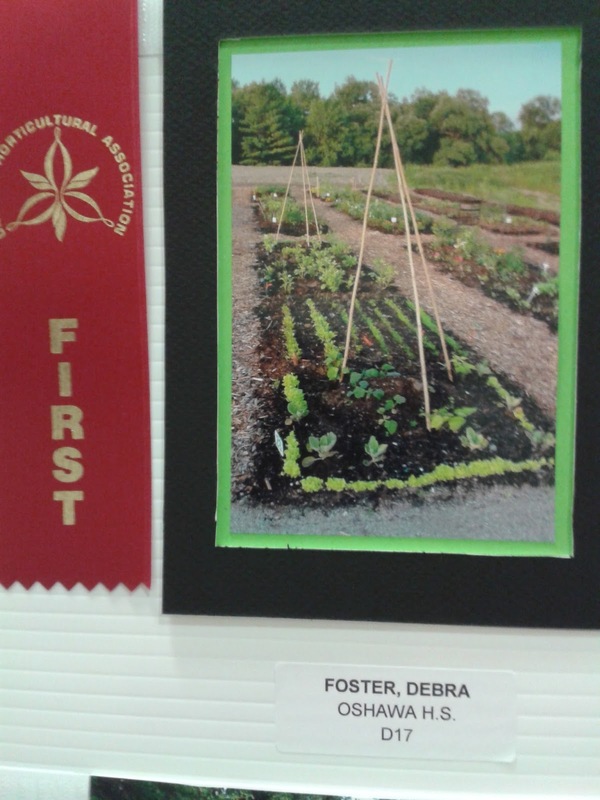 Enrolment in the Horticulture courses at Durham College has doubled in the past two years. Bring your creative projects, plant arrangements, Pinterest type ideas to our Show and Tell Table. Talk with Vida, she will inspire you. 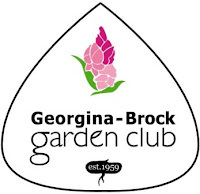 Just as gardeners collect vegetable material to make precious plant fertilizer, we hope to collect and compost your ideas to make the Oshawa Garden Club thrive! Fill out an Ideas Composter Form, found at the Volunteer Table. Ideas to improve member experience? Ideas to attract new members? 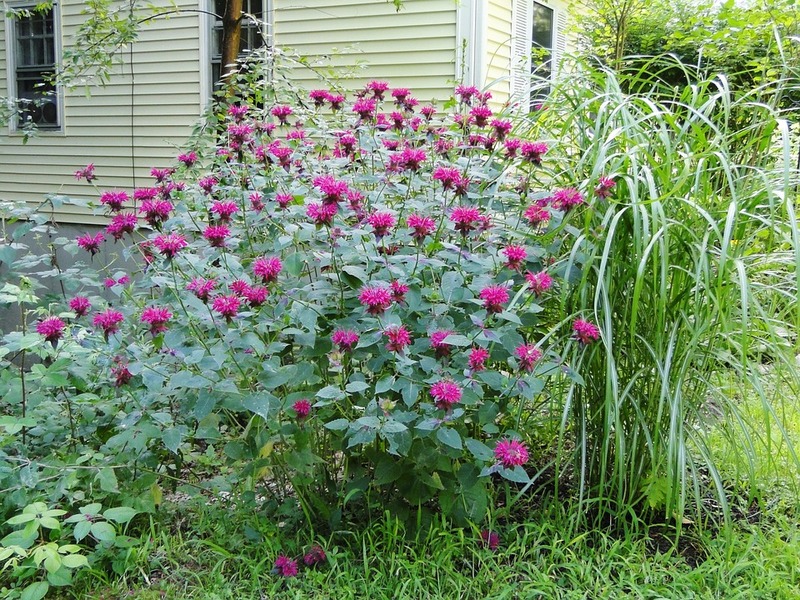 Ideas to improve our Plant Sale? 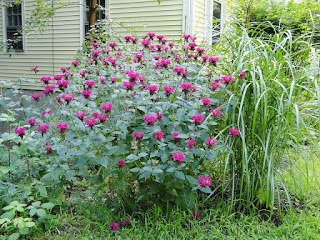 Paul Heydon is a native plant expert and owner of the native plant nursery, Grow Wild, Omemee. 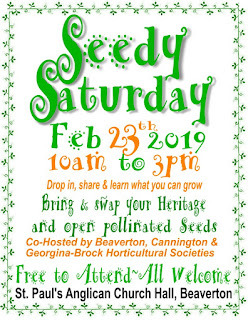 Paul will lead participants through seed harvest and germination techniques in this hands-on workshop.